*Beautiful Luxury Home*. Perfect for Quality Family Time and Entertaining. 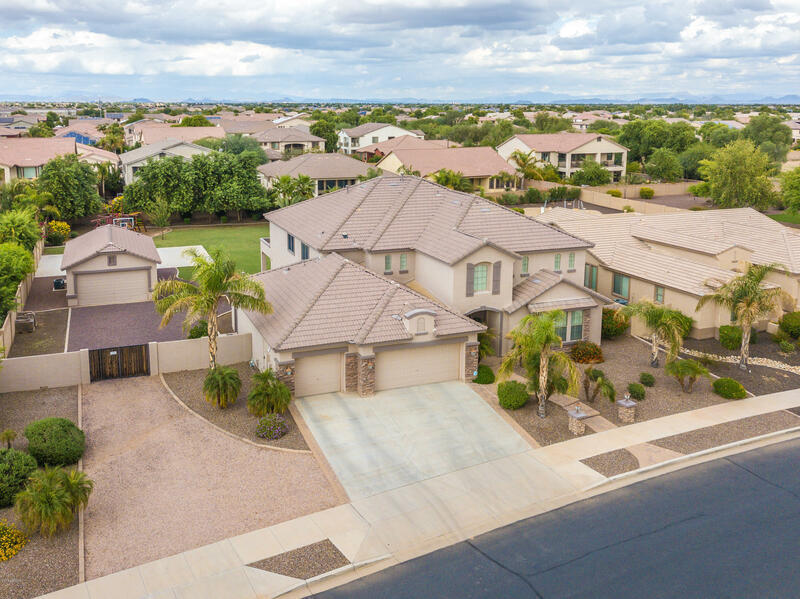 This Exquisite Home Sits on 1/2 Acre Resort Style Backyard with Diving Pool, Sport Court, RV Parking and lots of room for Toys. Separate Detached Garage with A/C, Heat, and Half Bath for the Perfect Man Cave, Office, or Guest Quarters. 6 Bedrooms with 3 of the Rooms being Suites. 4.5 Bathrooms. 4 Car Tandem Garage. Beautiful Hardwood Floors & Ceiling Crown Moldings throughout First Level. Private Living Room, Spacious Formal Dining Room with Bay Window that can Comfortably Fit a 12 Person Table, Family Room w/Fireplace & Entertainment Niche, Den/Office & Expansive Loft/Game Room. Gourmet Dine-In Kitchen Featuring: Huge Center Serving Island, 2 Butler Pantries, Granite Counter Tops & Tiled Back Splash, 42 inch Cabinets w/Crown Molding. Spacious Master Bedroom. Master Bathroom features Double Sinks, Soaking Tub, Large Separate Shower. Stay Organized with the Shelving in the Master Closet. This is an Unbelievable Opportunity to Own this Amazing Home.